Rainforest Cruises brings you on the adventure of a lifetime - trekking the Inca Trail to Machu Picchu. To hike the Inca Trail is more like a pilgrimage, as you develop and strengthen relationships with fellow travelers, each sharing a common destination, the majestic and awe-inspiring Citadel of Machu Picchu. The Inca Trail to Machu Picchu Trek is of moderate difficulty, but passengers should be in reasonable physical shape prior to arriving in Peru. Being prepared will make your experience more enjoyable, allow for more time viewing the beauty of the Andes, and less time gasping for breath while clutching your hiking pole! No reviews yet for this trip. Browse other reviews below for Rainforest Cruises. Upon arrival at the Cusco airport, you are met and taken to the city, where you have some time to relax and acclimatize to the altitude. Drink plenty of coca tea and take it easy, so you can enjoy your afternoon city tour. Your tour takes you to the principal historical and archeological sites of Cusco, before returning to your hotel. Evening at leisure. Machu PicchuTransfer to the Sacred Valley for an inspiring visit to the market of Pisac and Ollantaytambo. The Inca utilized the Sacred Valley for farming, but it also held important spiritual and religious significance, as many important structures grace the area. Enjoy your active tour, which should assist you to take on the demands of the Inca Trail the next day. Inca Trail to Machu Picchu Today is the first day of your trek. You are escorted to the entrance point by your guide, where your tickets are collected. You cross the Vilcanota River and begin your climb into the Andes. You arrive at the Wallabamba campsite for the night, where you enjoy your first evening under an Andean sky. Dead Woman's PassToday is the most difficult day on the Inca Trail. You climb 1,200 meters to Dead Woman's Pass, which is situated at nearly 4,200 meters above sea level. From there you descend to your campsite for a much needed rest. Enjoy a dinner recounting the day's achievements with friends and family. Inca Trail HikeYou will notice that today's hike presents a change in scenery. As you leave the higher altitudes and descend toward Machu Picchu, the flora becomes more tropical. Today's hike allows for visitation of several archeological sites and for many is one of the most enjoyable. Make sure to pack a poncho to stay dry, in case of rain. 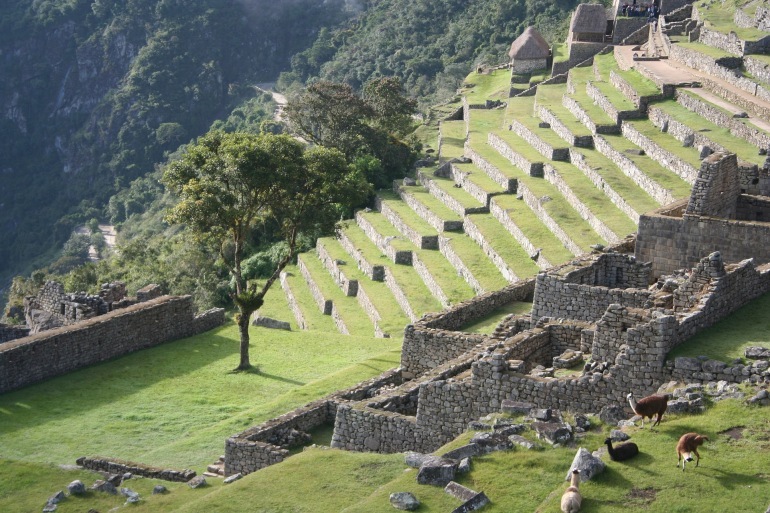 Cusco Inca Trail Today you arrive at the majestic citadel of Machu Picchu. Enjoy the sights and sounds of this incredible structure after four days of physical exertion. You enjoy a guided tour of the ruins, and in the afternoon take the train back to the Sacred Valley where you can rest and recuperate in your comfortable hotel. Peru Amazon ToursAfter an exciting visit to the Andes, it is time to return home. You can enjoy some free time in the morning before transferring to the airport for your flight home. Rainforest Cruises hopes that your Inca Trail hike has been a success! We would like to express our deepest appreciation for traveling with us!